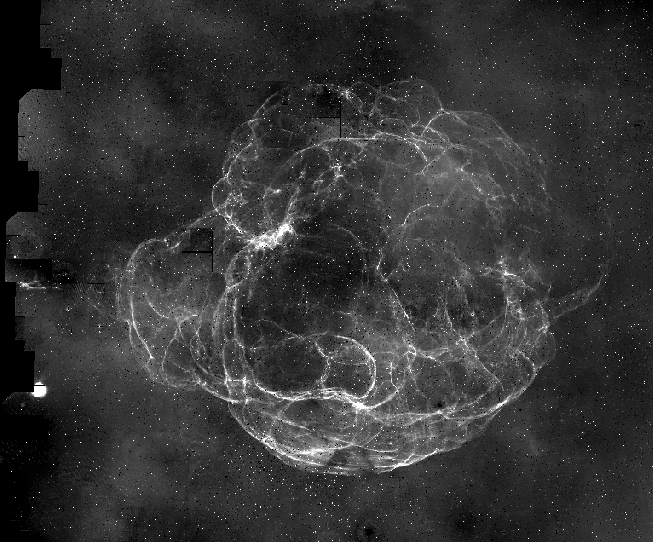 A continuum-subtracted H-alpha image mosaic of the supernova remnant S147, constructed using Montage. The total imaged area is roughly 5 x 3.5 square degrees. 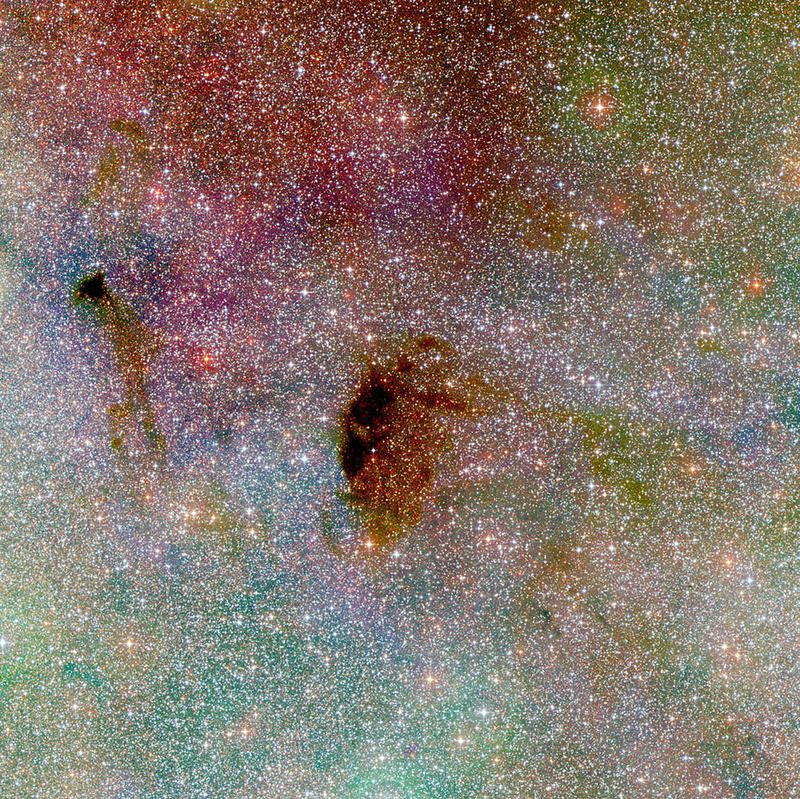 The bright "blob" to the left of the picture is a more typically compact Galactic nebula. credit: Isaac Newton Telescope (INT) Photometric H-alpha Survey of the northern Galactic plane; Albert Zijlstra, University of Manchester; Jonathan Irwin, IoA Cambridge. 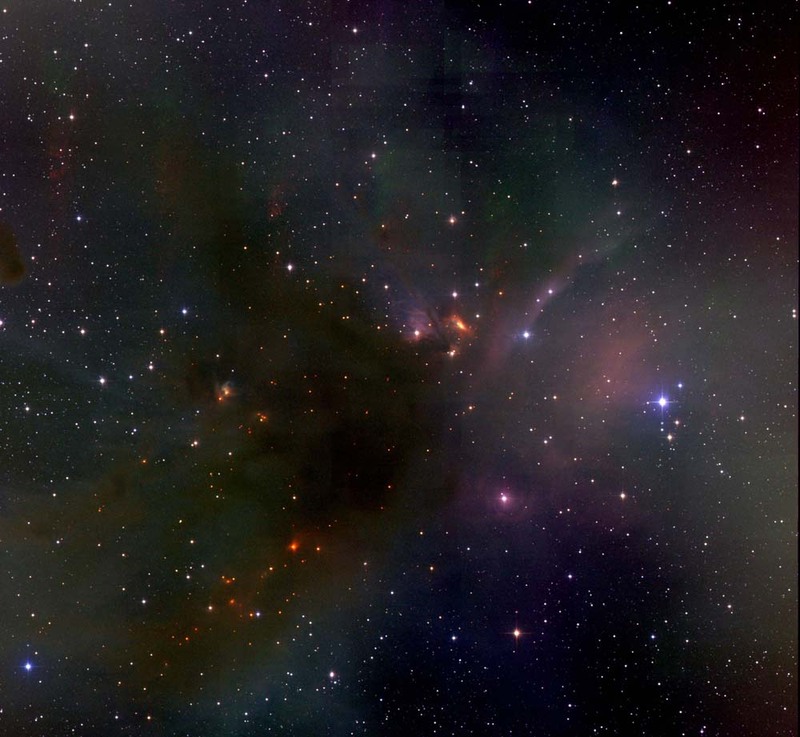 A three-color view of the Rho Oph dark cloud constructed with Montage from deep exposures made with the Two Micron All Sky Survey (2MASS) Extended Mission. Image courtesy of 2MASS. 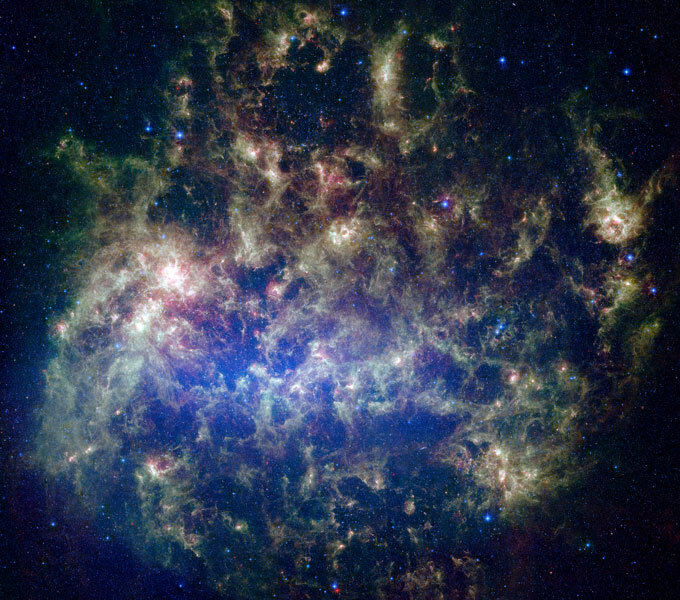 This Spitzer mosaic of the Large Magellanic Cloud was created as part of the "Surveying the Agents of a Galaxy's Evolution" (SAGE) legacy program. In this three-color composite covering more than seven degrees on a side, blue is 3.6 microns, green is 8 microns, and red is 24 microns. Image credit: NASA/JPL-Caltech/M. Meixner (STScI) and the SAGE Legacy Team. 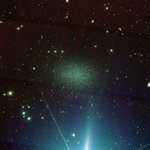 Located just north of Regulus (seen as the bright spray off the bottom of the image), the Leo-I galaxy is a dwarf spheroidal satellite galaxy to our own Milky Way and is the most distant of the fifteen Milky Way satellites known. This three-color view spans a 0.5 x 0.5-degree region and was created from 45 separate images from the Sloan Digital Sky Survey. The SDSS g-, r-, and i-bands map to the image's blue, green, and red channels, respectively. 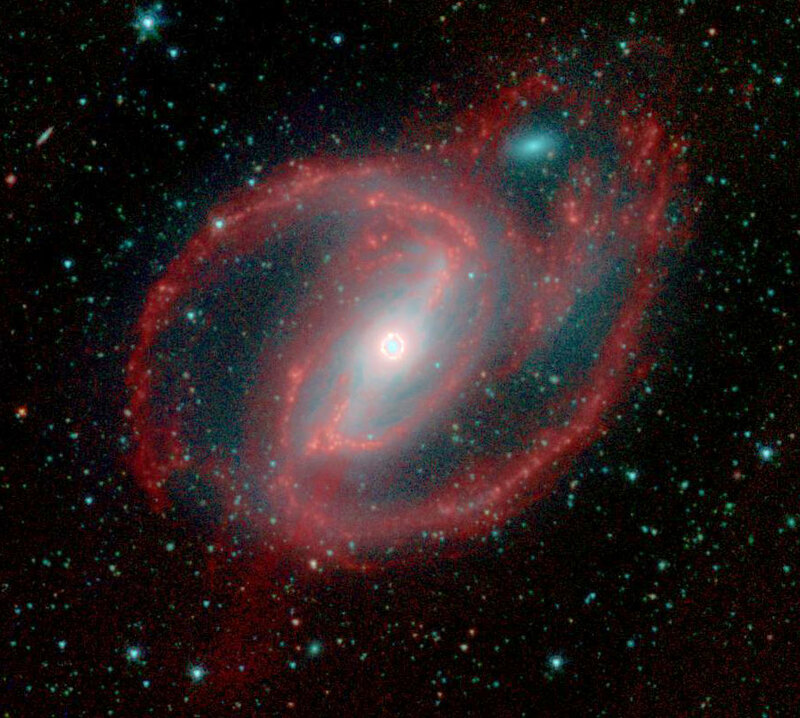 The SBb LINER galaxy NGC 1097 as taken with the Infrared Array Camera (IRAC) onboard the Spitzer Space Telescope. 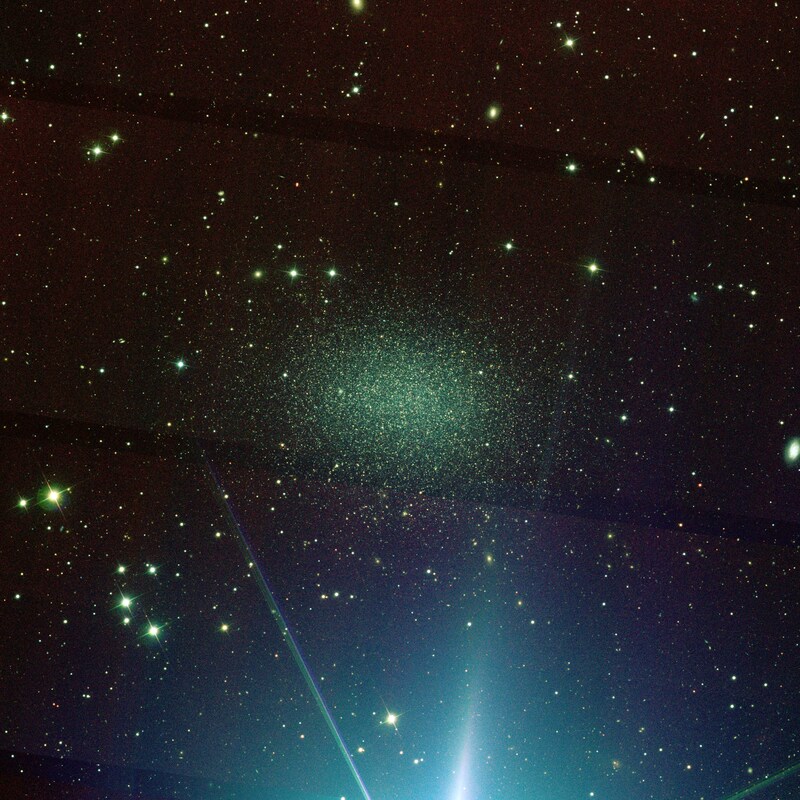 This image, part of the Spitzer Infrared Nearby Galaxy Survey (SINGS), is a three-color mosaic preview comprised of 3.6 um (blue), 4.5 um (green), and 8.0 um (red) data. 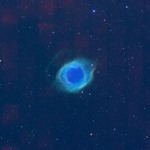 The power of grid-enabled Montage software allows astronomers and star-gazers alike to feast their eyes on the Helix nebula in its entirety. Created with the Montage Web Service and Montage v3.0. This mosaic centers on the dark cloud Barnard 92. The dark clouds cataloged by Barnard contain so much dust they obscure the light of stars embedded in them and in the line of sight behind them. The clouds thus appear as holes in the sky. Stars become visible as the dust thins out in the periphery of the clouds. Their light assumes a reddish hue because dust grains preferentially extinguish blue light. This is particularly well viewed to the west (right) of the cloud. Another dark cloud, Barnard 93, is also seen along the eastern (left) side of the image. The image preserves the positional accuracy and intensities of a total of 92 input images, and is an example of the types of images astronomers use in their research. Image credit: Montage. Known throughout the world under various names -- Subaru to the Japanese, Matarii ("Little Eyes") to the natives of Tonga, Athur-ai ("The Stars of Hathor") to the ancient Egyptians -- the Pleiades (as it was known to the ancient Greeks) is a cluster of naked-eye stars located in the constellation Taurus, the Bull. 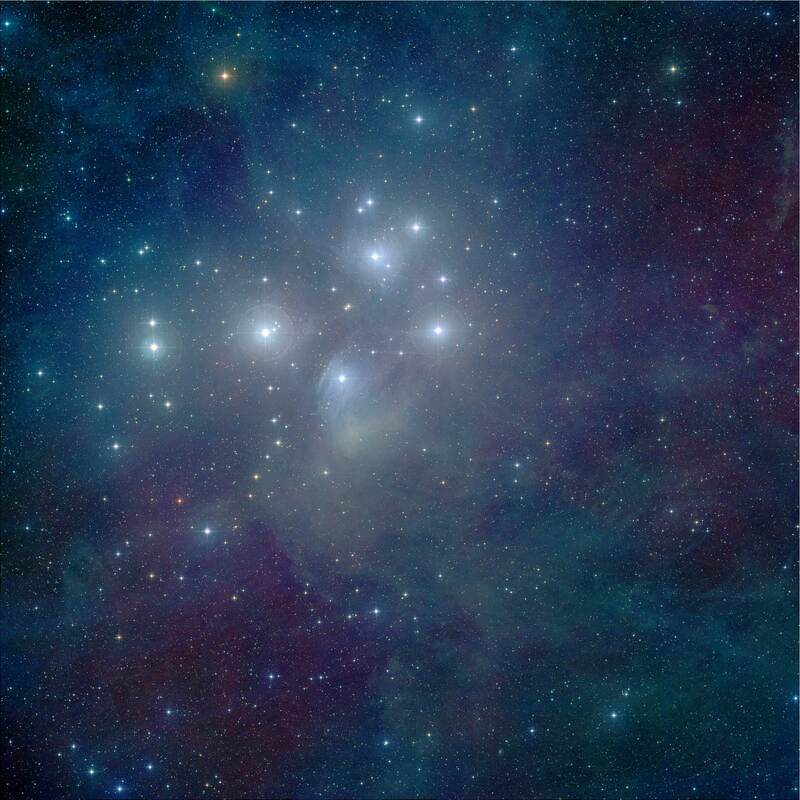 This cluster is now known to be a collection of relatively young stars, their births having occurred only 100 to 125 million years ago. The brightest stars shown here are those visible to the naked eye on a clear winter's night and represent hot blue giants much more massive than our Sun; the faintest members of the cluster are faint red dwarfs only a tenth of the Sun's mass. 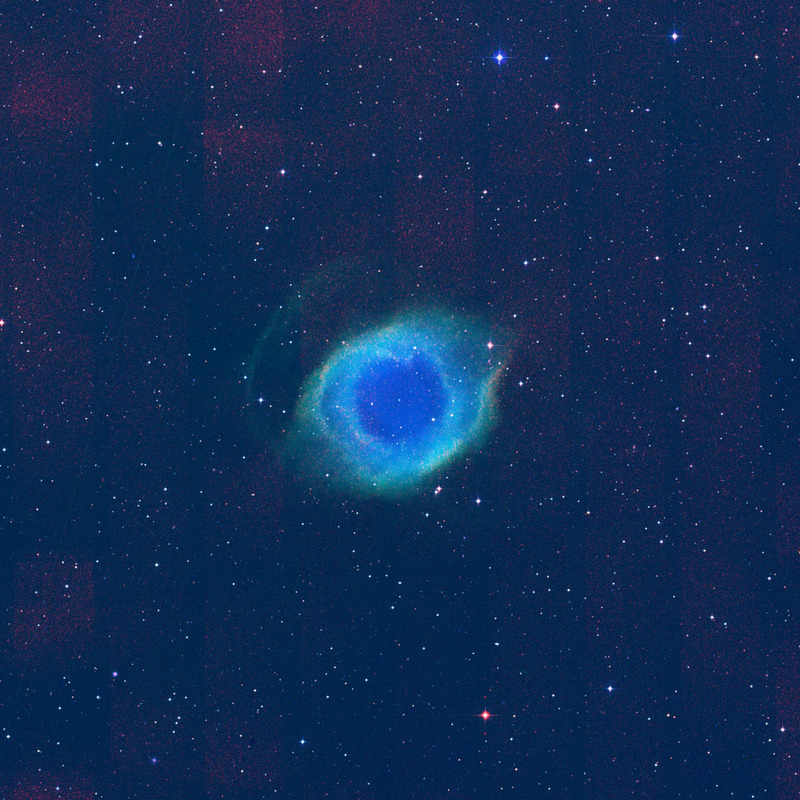 The blue, green, and red channels of this three- color image were made from B-, R-, and I-band images, respectively, from the Digitized Sky Survey. Image credit: Inseok Song (University of Georgia). This is a section of the Galactic plane measured with the Spitzer Space Telescope. In this four-color composite, blue is 3.6 microns, green is 4.5 microns, orange is 5.8 microns, and red is 8.0 microns. Image credit: NASA/JPL-Caltech/E. Churchwell (University of Wisconsin).